Today I get to share Jenny and Michaels beautiful wedding at 440 Seaton in Los Angeles. There were so many fun moments, gorgeous details and happy tears! These two are high school sweethearts and I’ve know them for several years now. Watching them fall in love, photographing their engagement session and now photographing their wedding was truly an honor and such a joy to be part of! First of all can we just gush over this wedding venue for a minute? It’s basically my dream with all the beautiful warm tones and gorgeous natural light pouring in from the windows near the ceiling. So so perfect and I felt like every time I walked around a corner there was another amazing place to take photos. With exposed ceilings, old wood floors and doors everywhere and industrial textures on just about ever wall I couldn’t get enough! The ceremony took place in front of a beautiful birch framed cloth backdrop. The backdrop was decorated in one corner with eucalyptus and the center isle was lined with eucalyptus as well. Jenny & Michael put a lot of time and thought into the food choices for the reception. They didn’t do a typical sit down dinner but rather had a bunch of different gourmet style foods buffet style. It’s was delicious and I could tell the guests were loving it!! Jenny worked with Tasteful Tatters in bringing the details of her day together and they did such an amazing job! My favorite part of the details was that Jenny used her own hand lettering skills for their invitations and wedding signage. It was the perfect touch! If you need some hand lettering done, Jenny is your gal! During their reception we headed to the roof for some more photos of Jenny & Michael with the Los Angeles city scape in the background. It was a nice breath of fresh air and such gorgeous photos came from it. I enjoyed spending time getting to know Sara & Robert for their engagement session last week at the TCL Chinese Theatre in Hollywood, CA. The inside of the theatre was pretty amazing. It’s huge and also very dark inside which was challenging but fun at the same time! 🙂 We also decided to get some natural light photos outside on the staircase afterwards and I’m in love with those photographs too. Oh and the staircase was musical. Who thought that was a good idea? Every step played a note when you stepped on it which got pretty annoying with loads of people walking by but Sara & Robert were good sports and we managed to bear the annoyance. In the short time I’ve spent with Sara & Robert I can tell that they love to travel and just have a fun time being together. A beautiful, fun & sweet couple! They are planning their destination wedding for November of this year in Punta Cana, Dominican Republic and I can’t wait to capture their wedding day! It’s going to be amazing! It was a beautiful day at the Griffith Observatory for Desiree & Gabriel’s engagement session, a little windy now and again but not too bad. I love exploring around the observatory to find new spots to take photographs and we found several little areas we liked. One of my favorite things about Desiree & Gabriel is their kindness. I can’t quite put my finger on it but they are just the nicest people ever! They have a beautiful love and just fall into each other so naturally. During their session anytime I mentioned giving a little kiss for the picture Gabriel was right on it, didn’t have to tell him twice. Oh, and I love their style! I might just have to go get me a pair of the booties that Desiree wore with her second outfit. So cute! These two actually grew up living in the same neiborhood but didn’t start dating until later in life. Desiree had actually moved away but she still came back to visit her friends and because they had some mutual friends they ended up starting to talk to each other a little more. 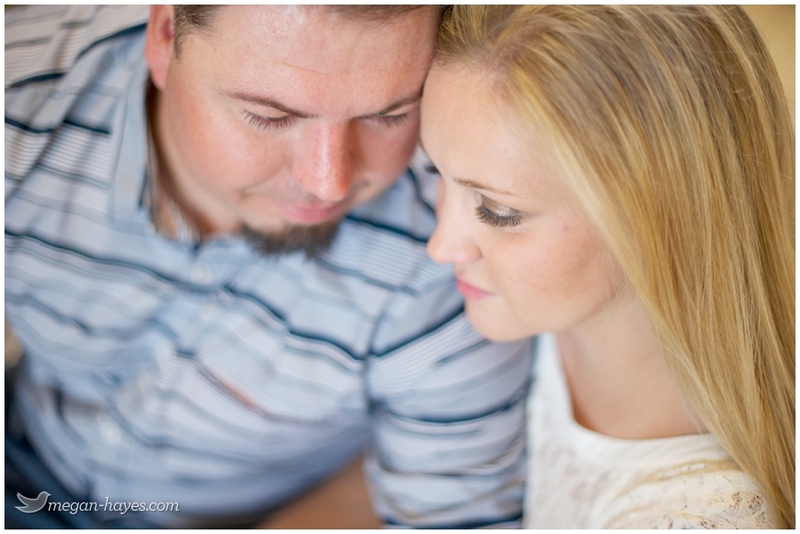 Their wedding is set for June of this year and I can’t wait to capture their lovely day! Congrats Desiree & Gabriel, you guys are such a beautiful and sweet couple! I had such a fun time at the my first Pursuit 31 meetup this month. For this meetup we did some book crafting using old books. A group of us walked over to The Last Book Store to buy some old books for our craft and it was so neat walking around that place. I could have spent hours in there just browsing through old books! 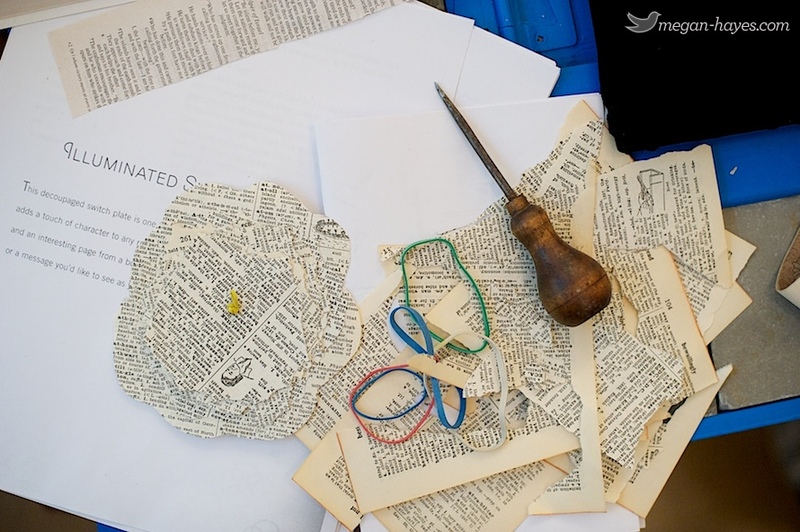 Back at Lukas & Suzy’s studio we made paper flowers, light switch plates and journals from our old books. We of course did a lot of chatting about business and personal stuff. That’s what we girls do best right? I so enjoyed being with ladies who love photography and desire to bring glory to God through their business and home. Having something so important to you in common with others gives an instant connection and friendship. I’m excited for these new friendships and future Pursuit 31 meetups. If you are a photographer and would like to know more about these meetups check out the Pursuit 31 website to find a meetup near you. To find out more about the LA Meetup group head over to Lukas and Suzy’s blog. 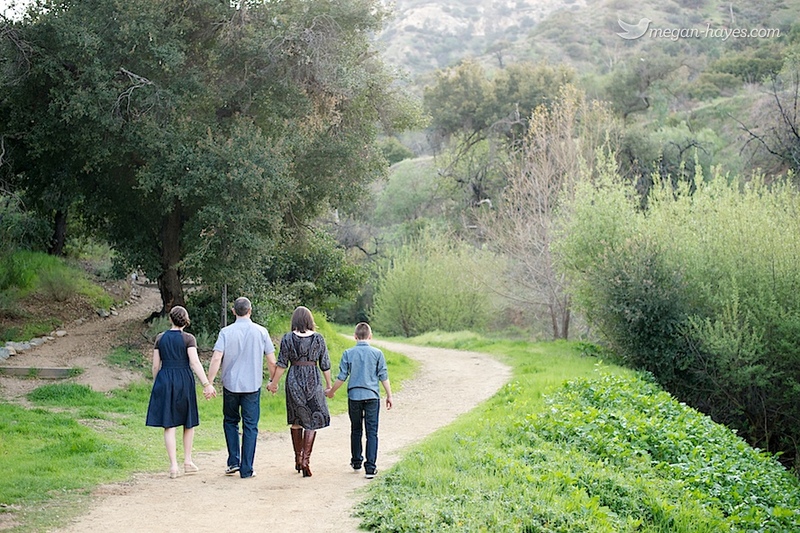 I can already tell that this session at Griffith Park will be one of my favorites for 2012. Meet the Sanders family! Rebecca and I grew up in the same small church in Oregon so we’ve known each other for a long time. She met her husband Erik while they were in college and sometime after they got married Erik came to work in the youth department at my church in Oregon as the church’s Youth Pastor. They are sort of my heroes and some of my favorite people on earth. As a young teen they taught me valuable lessons and helped me grow as a Christian in many ways and I’ll never forget their impact on my life. I am truly and forever thankful. Erik is now pastoring Bible Baptist Church in Everett, Washington and they came down to Southern California last week so we met up for their family session at Griffith Park in Los Angeles. We found a few trails at the park that we liked and started walking around a bit. Rebecca had a small case of the giggles, Abby was the quiet one, Erik of course cracked a few of his brilliant jokes and Caleb was the perfect poser (that is when he wasn’t up a tree or in the bushes). I used to babysit Abby and Caleb so seeing them so grown up was weird. Time flies! I am now that lady that says “Hey, I used to babysit you and change your diapers”. I loved spending time with them and I hope you enjoy the photographs!